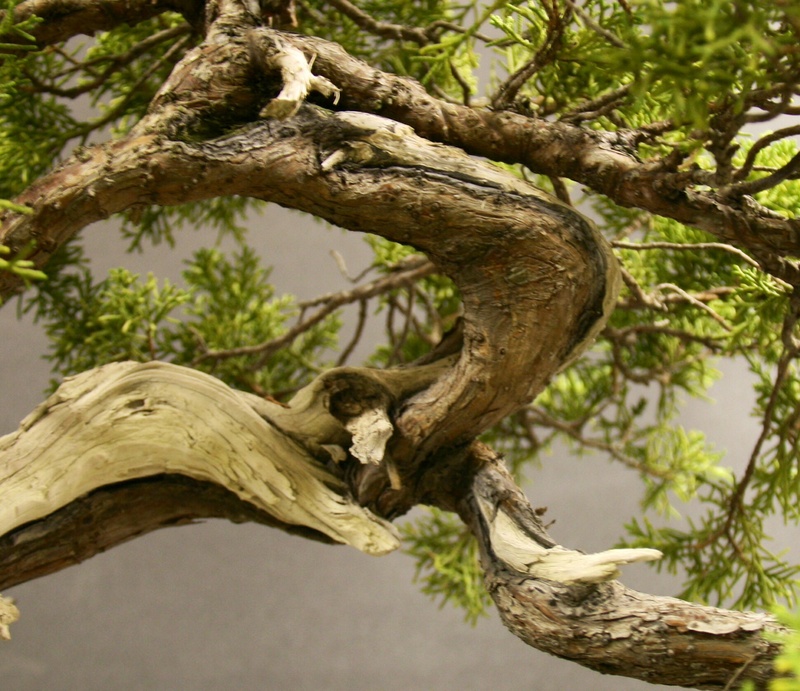 This is a juniper that I was given a while ago to style, after I had removed the aluminium wire it had on it. 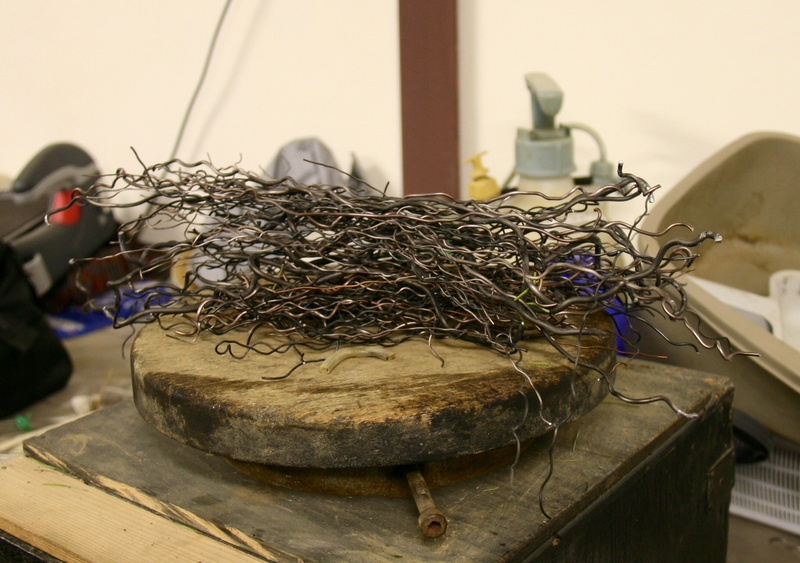 The pile of wire which came off. The tree certainly looked better for it coming off and the reason for the title is that to me at the time, especially with the wire on, it looked like it had been in a car accident. Maybe due to the way it was stuffed into a vehicle on the way to an auction. Looking closely at the tree it had a few nice features. Some dodgy carving on the back though, which needed to be fixed. I then set about cleaning the trunk and wiring the tree. I slightly changed the front and I looked at raising the angle as middle of the section looked flat/straight to the pot level. The problem I found in doing this would create a loop on the second branch bringing it down. 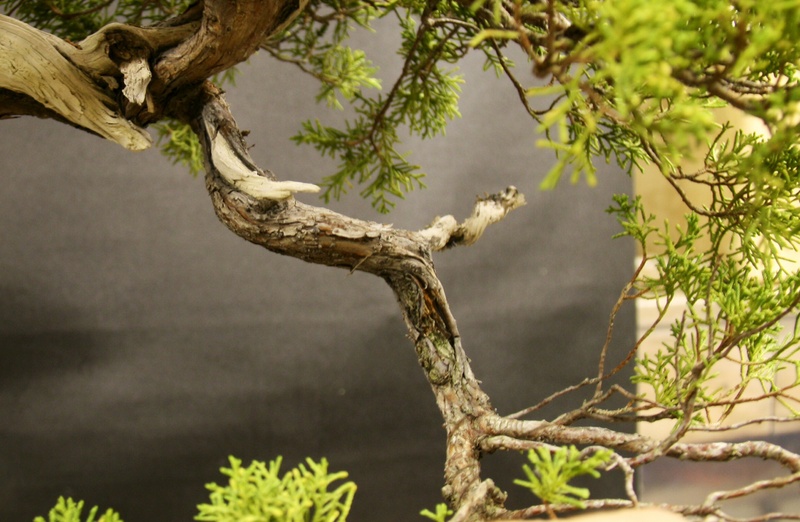 The second branch was in a good position as well, on the out side of a curve and a good natural position for a second branch. So, I opted to keep the current pot level and hide the section with the second branch solving the problem. Here was the tree after I finished working on it. I made two pads out of the second branch to create a back branch, bent the apex to create more movement & compress it a little. I tried to style the tree the way Oyakata generally likes his tree’s. 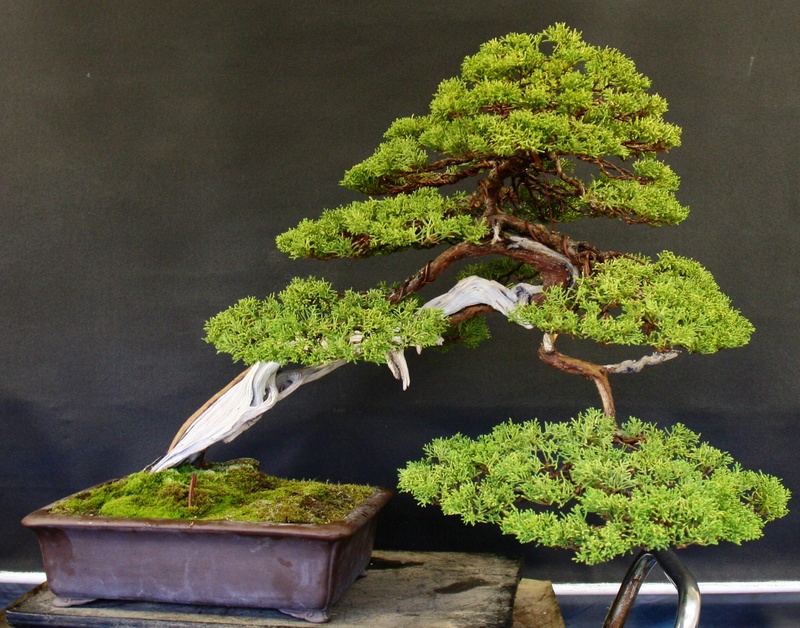 Oyakata likes to style his tree’s with the main branch following the first trunk direction especially if there is a strong trunk movement. This wasn’t a problem with this tree as it naturally was like this. 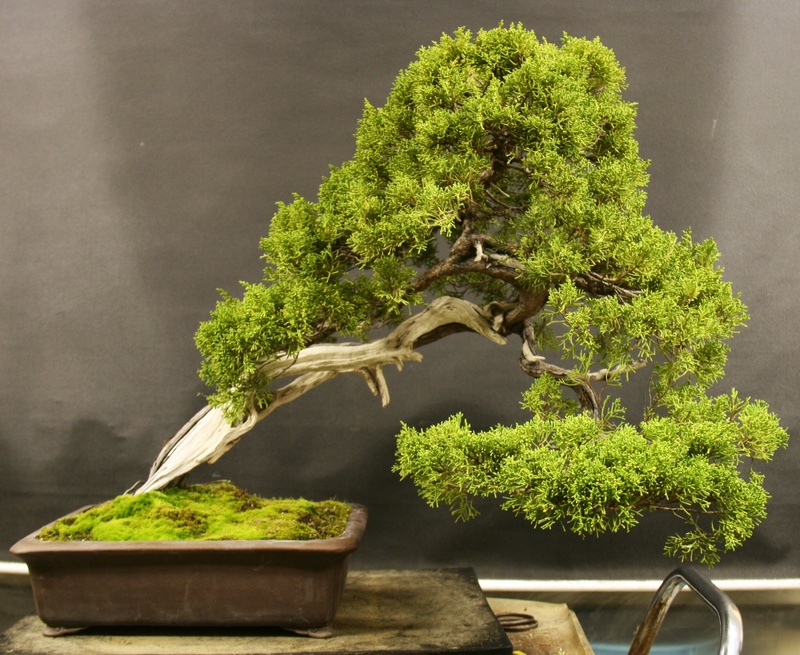 He also generally likes a strong/heavy main branch which I tried to do. Round underside of pads is also another thing we do here, a posed to the flat style. A lot is taste and depending which nursery you go you all manner of slight differences. 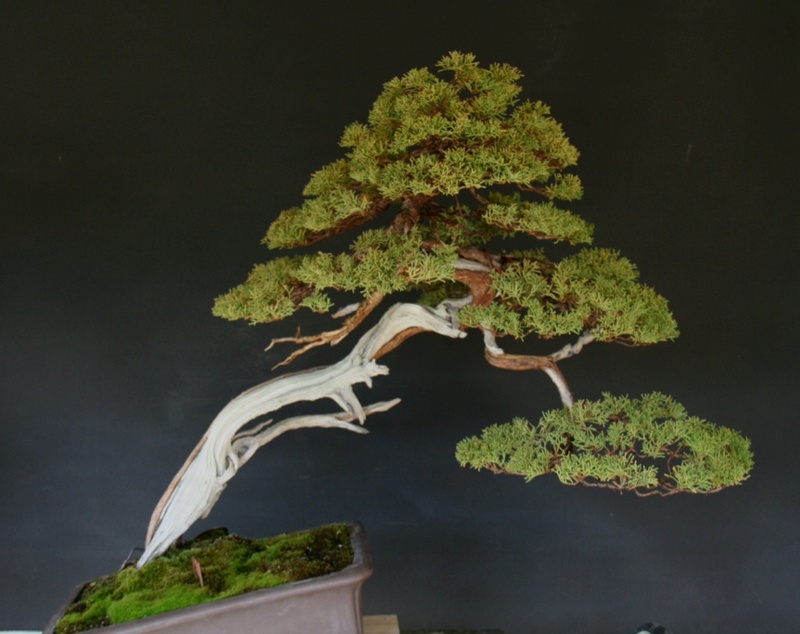 This is the tree after Oyakata’s corrections, an application of lime sulphur and steam bending the Jin to give it a little more movement. 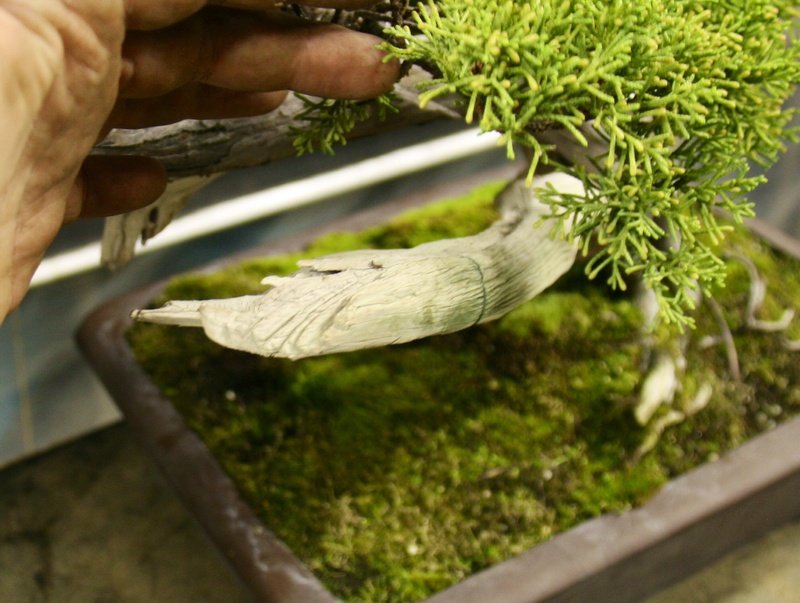 Oyakata removed the second branch and changed the pot level. He then explained why. The reason is that this tree has a bunjin/literati feel to it and the second branch was in too good of a position. Bunjin tree’s branch structure should be a little strange/un-uniform to compliment the style. This then solved the problem I had before. The main branch was also reduced to balance/lighten it out. Apart from that there were some minor alterations to compensate for the angle change. Good work on both the white pine and the juniper. I agree with Oyakata by removing the second branch. This allows much more of the trunk features to be visible and it does now give it more of a bunjin feel about the tree. Keep up the good work…….see you soon! 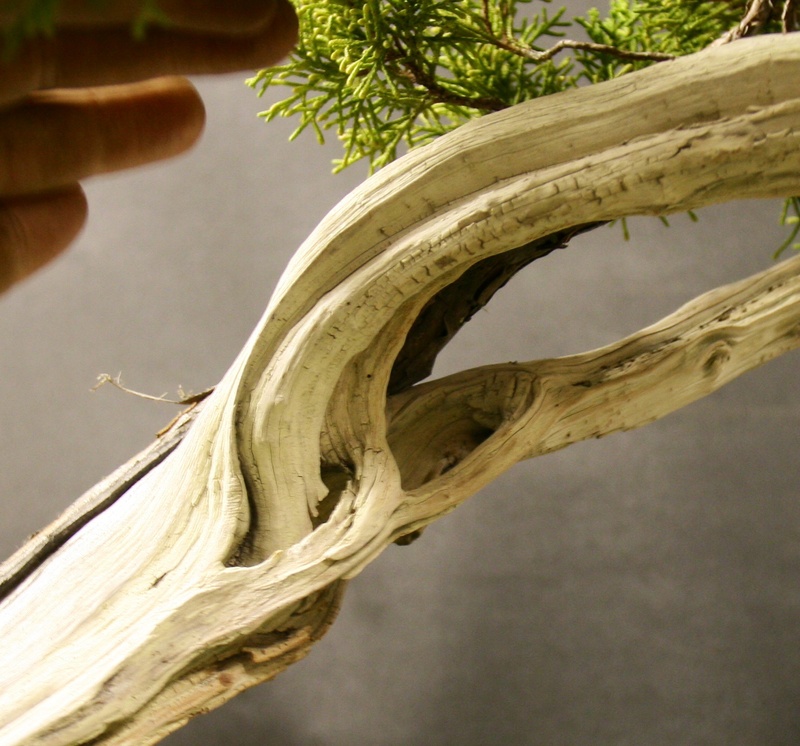 White pine maintenance and an Oyakata re-style.